The Alexander Technique has assisted thousands of people to manage and find answers to back pain, ongoing stiffness and soreness and to move and enjoy their bodies and live more fully again – participants last time loved the afternoon. They will explore with you this Techniques used in daily life to promote greater freedom and ease and so allow enjoyment again of our bodies in whatever we do whether it be gardening, golfing, dancing, walking or simply moving. 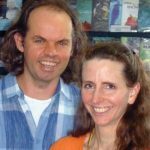 John and Lucy have been teaching this freeing technique since 2008. Lucy and John Reeves will present a lively and interactive talk about the Alexander Technique followed by some practical hands on work. They will explore the Technique’s application to daily life, how to direct our bodies to promote freedom and ease, and the benefits for our general health and wellbeing.